Owning a powerful and compact air pistol or revolver can be truly beneficial, especially if you plan to use it for a variety of purposes. May it be for target practice, pest control, hunting or self defense, choosing and possessing one can be a lot tricky. You cannot just pick an air pistol based on shallow factors. You will need to consider several things that will help you acquire only the best air pistol that will exactly meet your preference. There are practically a huge number of guns in the market today, varying on caliber, model and brand, among other characteristics. If you are a first time buyer or quite a beginner as a shooter, you will find yourself surrounded with too many options, that you may somehow feel overwhelmed and confused. That being said, you will need to come up with at least the top 5 best air pistols that you can find so you will have a closer aim as to which one you should go for. 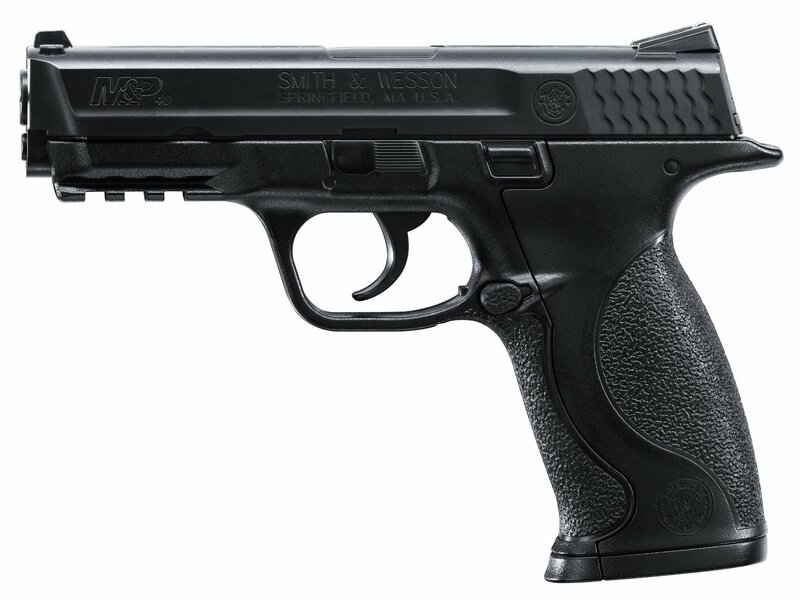 From one of the most reputed brands, the Smith & Wesson, the M&P Airgun is a BB replica that can give you a better shooting experience when it comes to training pistol and target shooting. With .177 caliber and an impressive velocity of 480 FPS, this airgun is surely a steal at its current price which is only $25.82. The body components are made of Frame and Grips and Polymer Body. It also features an option to add an airgun laser or tactical flashlight through its integrated accessory rail that you can easily find just underneath the muzzle. 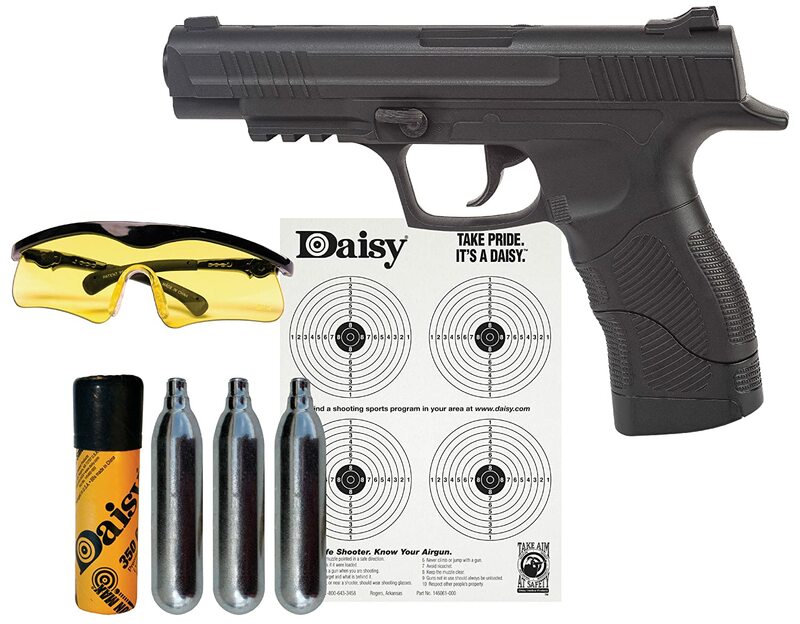 Another power line model from Daisy, the 415 Pistol is perfect if you are still getting the hang of shooting a firearm pistol, or if you want to learn more about the techniques of gripping. The built-in magazine can load up to 15 BBs and inserting a CO2 cartridge makes your gun instantly ready for a semi-automatic shooting fun. This 177 cal pistol comes with a smooth bore steel barrel and a max of 500 fps in velocity. The kit also includes 3 CO2 cylinders, 350 ct of BB tube, targets and shooting glasses. If you are looking for a lightweight and compact air pistol that is within your range of budget, then you should highly consider getting the Umarex 2254804 XBG multi-shot CO2 power air pistol. This one comes in black matte finish for a sleeker and classier shooting experience, also with .177 caliber. For quick reloading, this pistol also has a 19-shot drop-free metal magazine and is powered by one 12-grain CO2 capsule. Other features include the fixed rear and front sights, integrated Picatinny rail, 410 FPS and can shoot in double action. 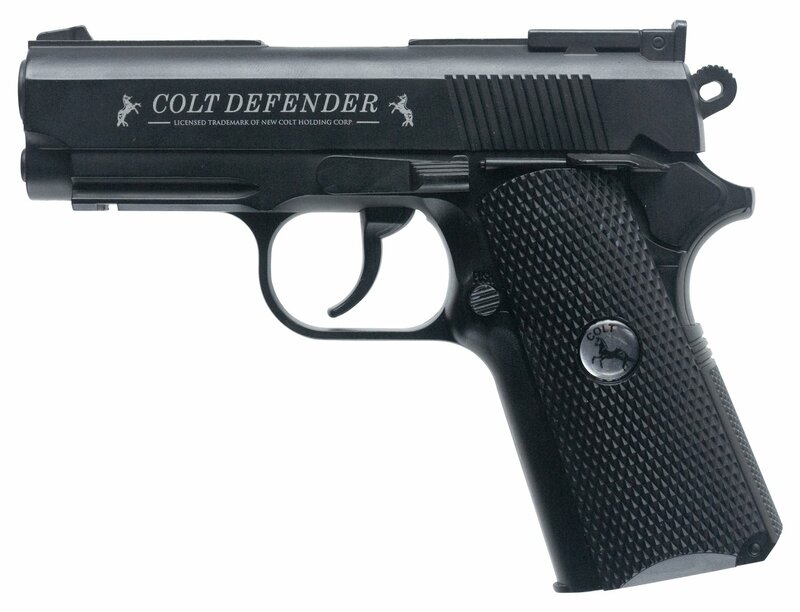 Featuring an all-metal construction with a built-in BB magazine of 16 shots, the Colt Defender Pistol totally delivers what is promised, whether it is hunting or self defense that you plan to use it for. With a velocity of 440 feet per second and .177 caliber, this pistol is powerful and versatile enough to keep you entertained. It also boasts of its fixed blade front sight that greatly helps in promoting accuracy whenever shooting. 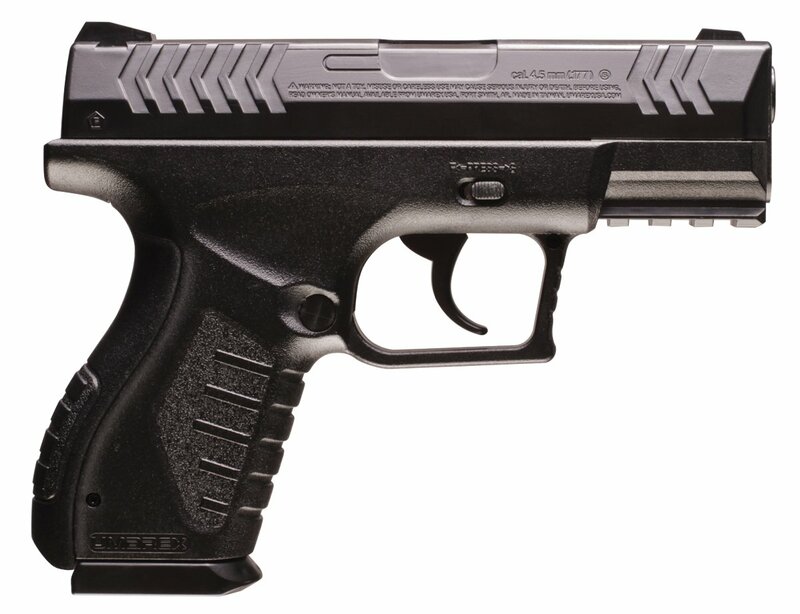 Armed with the Nitro Piston technology plus a velocity of up to 625 FPS, this air pistol from Benjamin is definitely worth every penny, making it an ideal firearm for pest control and target shooting. You will be surely impressed with its tactical synthetic frame and rifled steel barrel, as well as its ability to reduce noise up to 70% less compared to regular spring powered airguns. Aside from that, you will also appreciate less recoil and a smoother cocking effort each time you go on hunting. The kit will also include an adjustable rear sight and the fiber optic front sight, plus a cocking aid that lets you have an easier loading effort for your next round. Air pistols are highly regarded by several users because of several reasons – for one, traditional and high-powered handguns are far more expensive. You will also need to acquire various licensing requirements and registrations, which can prove to be time consuming for busy people. They are also usually loud and illegal to fire in certain areas, not to mention dangerous, too. This is why air pistols are becoming more popular and favored by people who wish to experience and learn how to shoot without to spend for too much money. This list of the top 5 best air pistols should be able to help you pick the right one that can match your personal requirement. Just be sure to always follow safety guidelines, and if you are under the legal age, you should be supervised by an experienced adult to avoid any harm or possible danger.